The committee for the Annual Community Thanksgiving luncheon would like to thank all of the wonderful donors who contributed to the 22nd year of this event. We give thanks to our dynamic servers who served everyone with a joyous smile. And acknowledge the items donated by Moores Fine Foods, Pizza King, and the Greek American Ladies Society (G.A.L.S.). We are thankful to our Sunday school for the very artfully decorated placemats. 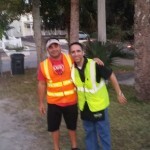 This event is a blessing for our church to serve our community in this manner. Thanks are due to many of the Saint Demetrios parishion-ers and guests who took some wonderful photos and helped in promoting the Greek festival to the public by posting these beautiful pictures on their social media sites. Please share these photos with Phyllis at the church office in order to help Ms. Irene Koutouzis to have an adequate selection for next year’s 40th festival album, which is going to be a special publication. Help yourself to some wonderful presents as you help Philoptochos help others. Tickets are $12 per person. Lunch menu: fried fish, rice, veggie, salad, skordalia and dessert. Free cheese pizza for children complements of Pizza King. Purchase your tickets during Coffee Hour on Sunday, November 29 or by contacting Cathy Moutsopoulos Stafford (386.290.7488 / cmoutsie@aol.com). This is the time of the year where families participate in the Christmas Card Drive and submit their names. Thank you for your continued generosity, and support of this free will offering. Should you desire for your name to be included in the Christmas card, please contact Tina Kaniaris at: athenelle7@aol.com or call the church office 386-252-6012. The Christmas mailing will be sent out around the end of the first week of December. 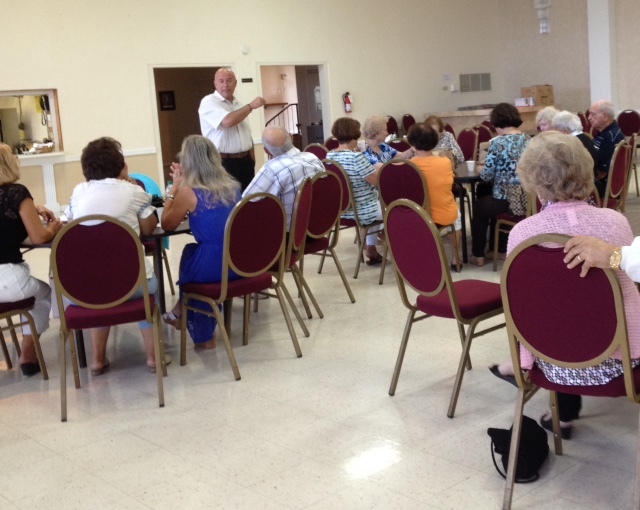 Thank you is due to an anonymous donor from St. Demetrios for the purchase of tablecloths to be used during luncheons and events in order to avoid using lower quality disposable table covers. This donation is significant and goes beyond the action of a simple donation. It reveals the level of deep commitment which lies in the hearts of the St. Demetrios parishioners. It also shows the desire of wanting to see beauty prevailing throughout the life of St. Demetrios community. Thank you to the anonymous donor of the table cloths, and to all other parishioners who are helping every day in many ways to beautify the parish life within St. Demetrios community. Ministries leaders who would need these table cloths for any of their ministries events are kindly advised to contact the church office. 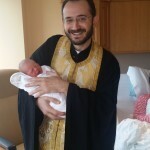 This is the time of the year where usually Father Theodore Stavru graciously relieves Father Joseph from some of his duties. 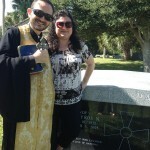 In case you or your family might face during the absence of Father Joseph any medical emergency, critical hospital need, or death situation; please call the church office at 386-252-6012 or reach out to Phyllis through her email at phyllis.hawkins@stdemetriosdaytona.org you may also seek the help of any of the parish council members. PURPOSE: The St. Photios Greek Orthodox National Shrine, Mrs. Kathie D ‘Anna and AHEPA (American Hellenic Educational Progressive Association) Speedway Chapter are sponsoring an essay contest for High School students to compare and contrast the immigrant story of a friend or family member with the experience of the Greeks who came to America in 1768 to settle what is known today as New Smyrna Beach. Some students may already know details of their family history; the intent is to encourage intergenerational dialogue as young people discover the personal histories that make up the tapestry of Americans everywhere and mirror the immigrants who settled the largest European colony in the United States. 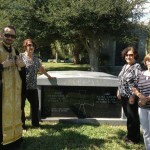 For more information about St. Photios Greek Orthodox National Shrine Essay contest and the New Smyrna Colony, please visit www.stphotios.org and click on Essay Contest. 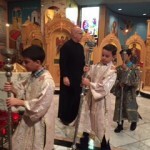 Entries will become property of the St. Photios Greek Orthodox National Shrine and may be posted on the Shrine web site or submitted to Greek and Hellenic publications in the United States. Prior submissions will not be permitted. SUBMISSIONS: Entries may be written essays, video, audio or photographic presentations with narrative (prose or poetry) of up to 1000 words and/or not to exceed 10 minutes. Entries will be evaluated on the basis of content, originality, thorough research and documentation of sources. While Internet research may be helpful, direct contact with original documents, photos and individuals is recommended. Interviews with family members, relatives and friends are imperative. CONTENT: Submissions may include but need not be limited to the topics below. * Discuss the reasons for the departure from their homeland. * Reasons why the immigrant settled where they settled. * The contributions made that inspire you to comment on them. * How the experiences differ, how the experience is similar. * What we gain by remembering these stories, these people. * How your ethnic background or culture has influenced your life. * The importance of maintaining ethnic culture in America for coming generations. * Only one submission per individual. * The author is at the 9-12th grade levels in their schooling. * The author must provide their personal contact information and the name of their home parish. * Submissions must be received by November 21, 2015 via email. A hard copy (paper document, compact disc or USB memory stick) may also be sent and will become property of St. Photios Greek Orthodox National Shrine. Please mark your calendar and reserve a spot on Wednesday Nov. 11th, 2015 at 6:30 pm to participate in the prayer blessing service of the Greek Festival workers. This is a short prayer service yet powerful and indeed does impact our work at the festival tremendously. The children of Saint Demetrios are a huge part of this prayer service. Please make every attempt to bring them. There will be a special prayer said by them during the service as well. Every parishioner and volunteer will come at the end of the prayer service to be anointed with the holy unction. It is customary at this service to light the oil-lamp of the festival and keep it lit on premise until the end of the festival, so that all of our prayers are still carried and lifted up to the heavens. Please spread the word and bring in with you your family and friends. 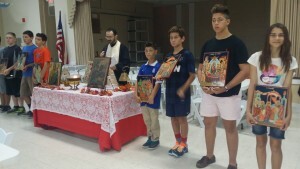 Glory to Jesus Christ our true God; he granted his church community of Saint Demetrios in Daytona Beach a series of wonderful and eventful celebrations that involved all the rainbows of the parish. Much dedicated effort went into the church cleaning and decoration. The altar guild ladies as well as other volunteers along with the Sunday school team worked diligently to clean, accentuate, and beautify the sanctuary and the Sunday school building. 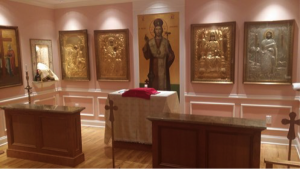 It was heartwarming to come back from the Diakonia Retreat Center after the clergy gathering to see things in good order, icons already decorated, and the artwork of the children adding a beautiful touch to the sanctuary. The Saturday before the feastday was another eventful day. The children learned how to make prosforo for the Divine Liturgy. His Eminence was impressed with the quality of the good seal as he prepared the gift during the Orthros service. The Proskomide service has a prayer that mentions the maker of the prosforo, so the children of St. Demetrios were prayed for because they made the offering bread; “Bless this Offering, and receive it on your altar above the heavens. In your goodness and love for mankind be mindful of those who have offered it and those for whom they have offered it”. Saturday was the day where the children practiced their roles as part of the St. Demetrios Play; they went kayaking, and enjoyed the movie night, the popcorn, and all the other things that come with this package. The luncheon on Sunday received many compliments for the delicious meal, and the children’s program. The ladies of the Philoptochos set up the evening reception. It was very well done and very impressive. 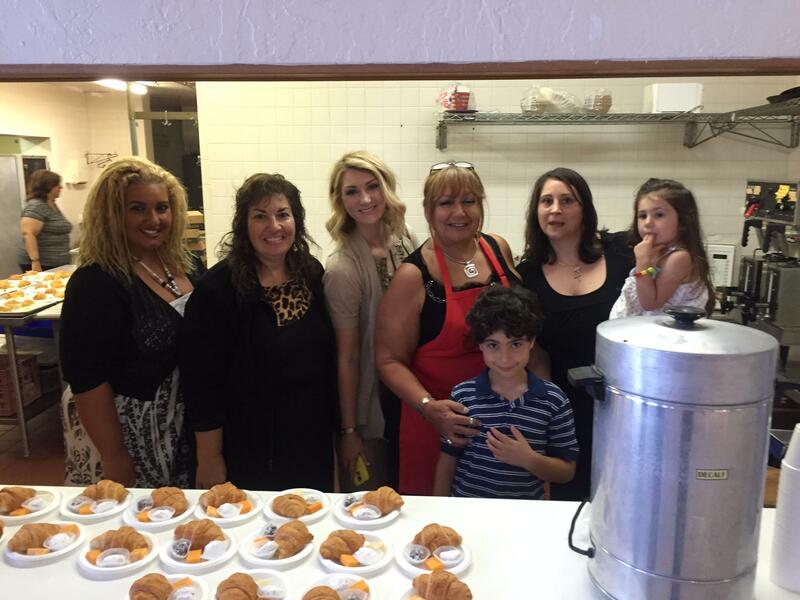 Many of the ladies of the St. Demetrios par-ish helped out and provided a variety of rich and delicious dishes. 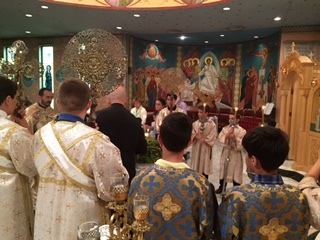 The vespers service with His Eminence presiding, many priests present, and several chanters from the surrounding areas was another glorious event, and so was the Divine Liturgy on Monday followed by the reception. 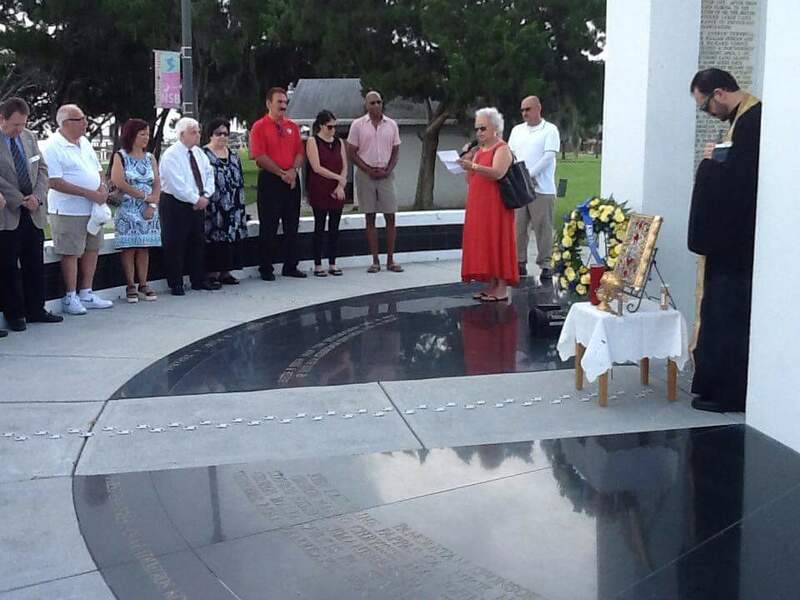 As usual several families offered the artoklasia, and a memorial service was offered on behalf of all the departed parishioners of Saint Demetrios par-ish. 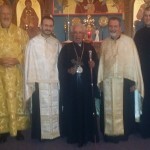 His Eminence presided over the “Founder Memorial Service” that remembered all priests, parish council members, Philoptochos members, minis-tries leaders and members, and all the parishioners of Saint Demetrios from its inception until today. This particular divine service is significant and very important. It gives hope to all of us who are still remaining behind (Militant Church). It is an incentive to do whatever is within our means to strengthen and perpetuate life within Saint Demetrios; be-cause as long as the liturgical life within St. Demetrios parish continues to exist, prayers will continue to be lifted up on behalf of all the departed parishioners. 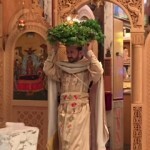 His Eminence Metropolitan Alexios, His Grace bishop Demetri of Xanthos, the rest of the priests, chanters and visitors left to go home with the best of impressions. 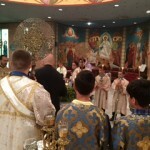 The parishioners of Saint Demetrios were joyful and happy, and this year’s celebrations ended up on a very good note. Thanks to God for his grace and for such wonderful divine gifts. Nothing good would have happened without him. Thanks are due to all of you and for your labor of love helping in so many ways to make the feast day of Saint Demetrios another glorious event, before, during, and after. Having enjoyed such a rich and uplifting event just a few weeks before the festival sets the right tone and mood for the entire parish, and all the parishioners to take on a large and demanding event like the festival. 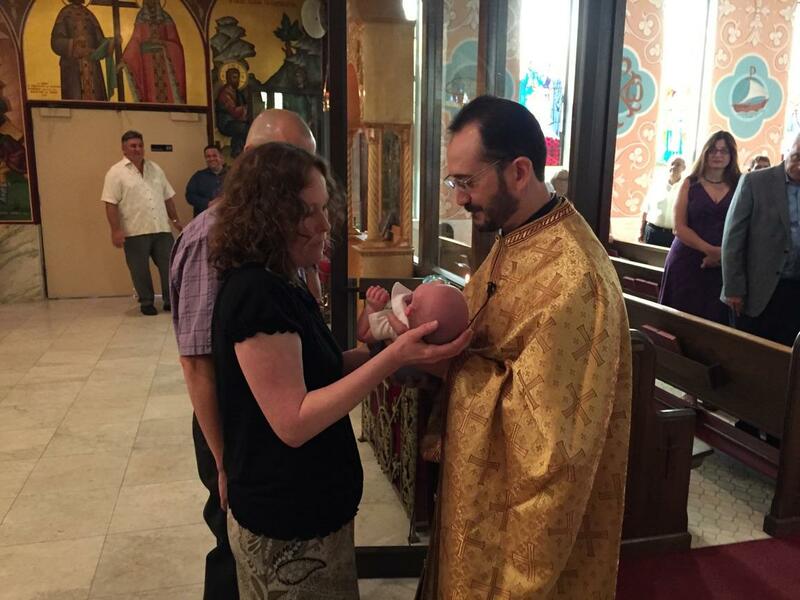 Congratulations to Anhela (Angeliki) Kou-louris on her coming into the Orthodox Church through the holy sacrament of Chrismation. Anhela’s entrance into the Orthodox Church happened during the feast day of Saint Demetrios, and during the Divine Liturgy where His Eminence’s Metropolitan Alexios was presiding. It was a very emotional and beautiful service. Anhela was very touched by it. Thanks be to God for this unique and precious gift. Please pray for her strength and spiritual growth, and thanks to all of you for your expressed and kind sentiments. Let us join together this year in keeping the tradition of hospitality strong within St. Demetrios by supporting the thanksgiving dinner. Please contact Joyce Louizes, Stacy Augustine or Maria Augustine –386-405-3025 to volunteer your time this day or to donate towards the cost of the dinner.Last year we had the largest crowd ever. 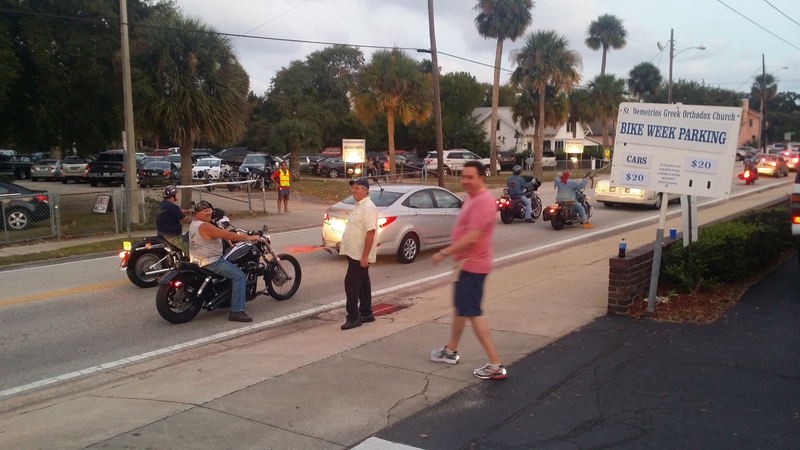 250 dinners were served to the needy and people who wanted to share dinner with others. 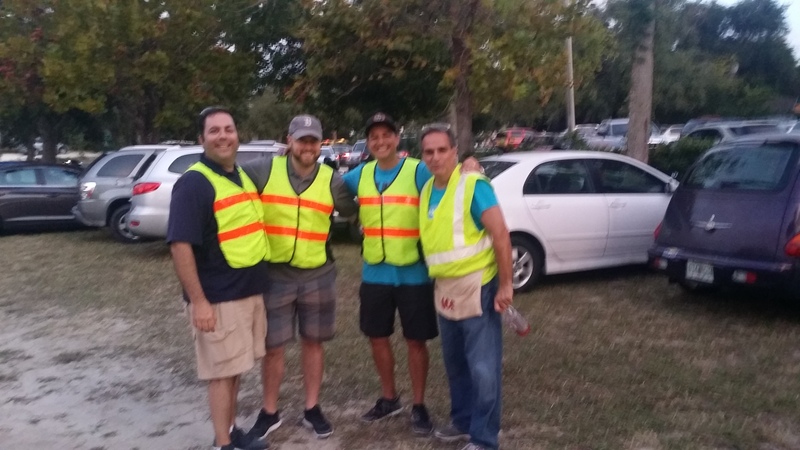 Thank you to all the volunteers who helped with the BikeOctoberFest parking last week. It was very encouraging and inspiring to see so many enthusiastic and dedicated volunteers taking initiatives and offering to help. Indeed it was real pleasure watching these busy working bees as they were welcoming the visitors, going extra step to help and to show courtesy and caring attitude while wearing big smiles on their faces. You all are commended for Job well done and for representing your parish with such bright colors. 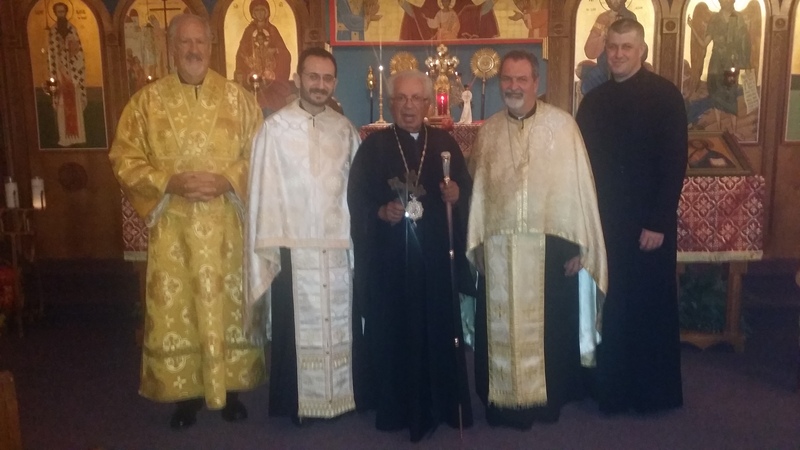 Last week the St. Demetrios parish hosted the Annual Pre-Marital Seminar under the umbrella of the Family Life Ministry of the Metropolis of Atlanta. This event was another great opportunity to bring together wonderful couples from the various church communities of this conference. This seminar was part of the journeys of these couples as they are preparing themselves to start of their married life. Their stories as well as their presence were inspirational and a source of many valuable blessings. It was an eventful and joyful day that could not have happened without your prayers and support. Thanks are due to George and Sylvie Nikitas of Mr. Witch for donating a delicious and generous lunch. Our guests were very pleased with the hospitality as well as with the entire seminar. Thanks are due to all of the volunteers; boys and girls who have been coming consistently and helping out with festival preparations. This is really a special t ime of the year when the church hall becomes full of life through their presence. Soon, once the festival is past, the church hall will lose much of its joy by falling into silence again. It is very inspiring to see many of you during these cooking times come together to share and to pass down your knowledge to the youngsters of the parish. I believe that these photos of Angie Lignos and Victoria Pitenis will encourage and inspire you to see the different generations standing side by side as one team working hand by hand within St. Demetrios. Please invite your friends and en courage them to benefit from these activities by bonding with other parishioners and getting to know them better. 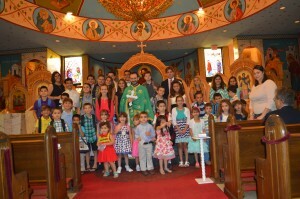 Take some youngster parishioners under your wing and help them become an active part of St. Demetrios community. The state of unity and harmony in every church community can only be achieved through concentrated and consistent effort. ives the life of the church community. The lens of Father Joseph’s camera every so often catches some of those so called “Somebody Else” in action. This week it caught Dr. Athas and Donna Kometas building stands for the festival, as it caught scenes from the festival cooking, bike parking, and Sunday school meetings. Thank you for being this “Somebody Else” and thanks for being aware that you through your willingness are the force and the energy that drive the life of the parish forward through the prompt of the Holy Spirit. Without your positive response and obedience to the calling of the Holy Spirit the divine synergy and cooperation with God cannot be fulfilled. We are about one week away from St. Demetrios Feast Day. Below are a few remaining needs and some necessary information. Sunday Luncheon: Tickets for the St. Demetrios luncheon taking place on Sunday after the Divine Liturgy are going to be available by calling the church office. If any remaining tickets are still available, they may be purchased at the door for the suggested donation of $10.00. If you would like to sponsor the Sunday luncheon, please email the church office. Evening Reception by Philoptochos: The ladies of Philoptochos are taking care of the reception after the evening vespers service through your help. Please if Presbytera Linda has not talked to you yet about your preferred dish that you would like to bring, please call her at 727-688-8806 to let her know your choice. 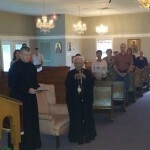 Koliva on Monday: Koliva is still needed for the memorial service to pray for ALL St. Demetrios parish departed parishioners on Monday 10/26 with his eminence presiding. Please call the church office if you are able to help. Artoklasia: It would be great if Artoklasia artos (sweet bread) is offered during the evening service on Sunday as well as on Monday; the day of St. Demetrios. Please let the church office know if you would like to offer an Artoklasia. 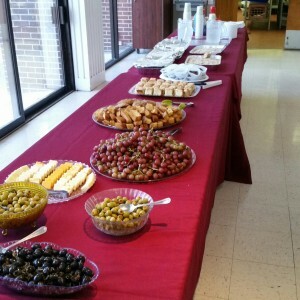 Helping hands: Few helping hands are still needed with the serving and cleaning during Sunday luncheon, evening reception, and morning coffee hour on Monday after the Divine Liturgy. Thanks to all of you who have worked hard on taking care of most of the needs so far. Thanks are due to our Sunday school for planning a fully loaded and exciting program. Thank you Philoptochos ladies for planning a very nice reception on Sunday evening, and for extending yourselves to enhance Monday coffee hour. Thanks are due to Nick Koulouris and his team members for staffing the kitchen for Sunday luncheon, and to all the parishioners who are helping with the church cleaning, preparation, and donations. Congratulations to all of you and your beloved ones on the occasion of St. Demetrios feast Day. 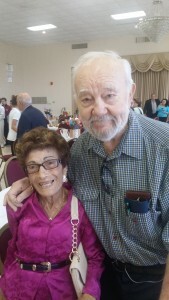 Congratulations to Lambros and Panorea Papalambros for reaching the mile stone of fifty years of married life. Likewise congratulations to Panagiotis and Stephanie Drymonis along with Andrew and Eleni Temple. Both couples have just gotten married. Our prayers are lifted in thanksgiving to God for the blessed married life of the Papalambros, and on behalf of the new couples for a joyful married life. May they become inspired by this example and motivate other couples to walk steadily on the same path. Congratulations to Andrea Pavgou-zas on the forty days blessing of her newly born baby girl Victoria Nicole Pavgouzas last Sunday. May God who granted her to see the physical light, deem her worthy of receiving his divine light through the sacra-ment of the holy baptism. Thanks be to God for a wonderful and joyful day Last Sunday. 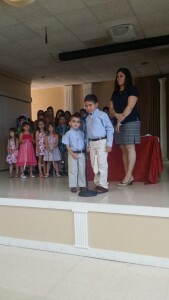 The children of Saint Demetrios were instrumental in touching many hearts through their genuine and sweet words that they shared with everyone during the DRC Brunch. Thanks are due to Katherine Nicolaou, and her team, Peter Merris, and all the parents who made last Sunday a beautiful and joyfilled event. Everyone in his or her way offered the best of themselves. Thanks to all the parishioners who blessed the event with their presence and were extra generous with their donations and their complements. Last but not least, thanks are due to Mary Ioannidis who as usual donated generously and joyously toward the cost of the brunch. Many of our guests shared some of the most heartwarming words to express their positive impression and shared their feedback. May God reward all of his giving servants known and unknown according to his mercy and wisdom. 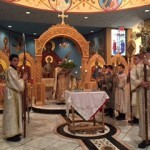 2016 Orthodox Mission Teams are now available! Please prayerfully consider joining one of the teams that will be serving in Alaska, Albania, Guatemala, Indonesia, Kenya, Mexico, and Uganda. Spend two weeks volunteering at a youth camp, teaching the faith, empowering Orthodox women, restoring a church, or providing healthcare. All are needed, and anyone over 18 can serve! 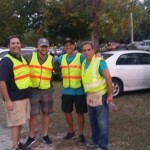 Visit www.ocmc.org, e-mail teams@ocmc.org, or call 1-877-463-6784 for more information or to volunteer. A huge thank you and offering of praise are lifted up to God Jesus Christ for giving his vineyard of Saint Demetrios a wonderful annual dinner dance event. The people who cared about the success of this parish event and contributed toward a family oriented dinner dance are more than what can be listed. Parishioners of all ages, and of different interest came together to celebrate, rejoice, spend fun time and add sweet and nice memories to their life, and the life of the St. Demetrios Parish. Johnny Louizes is to be commended for taking the lead of this event, and for working closely with the Kevin Moore team, the dance team of St. Demetrios, Philoptochos as well as other ladies, and with Phyllis up until the last minute to make the entire parish proud and thankful for another happy get together. I hope that you enjoyed some of the videos that were posted on Facebook, and the photos that have been emailed to you. Please enjoy the anthology of photos below. May our God Jesus Christ continue to bless and protect your life with his mercy and heavenly benediction. 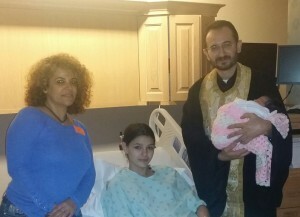 The journey of building the Diakonia Retreat Center started with a dream His Eminence Alexios Metropolitan of Atlanta had for the benefit of all the children of our Metropolis. 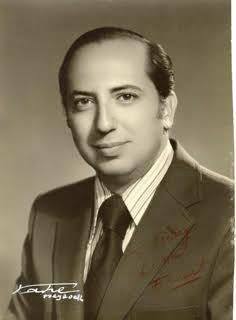 His eminence had a personal property owned that he gifted to the Metropolis as seed money to start this project. Later many other people and parishes’ contributions brought the Diakonia Retreat Center to its current state. Personally, I want to thank God for the vision of our Metropolitan that he chose to establish a center for the benefit of the families and the children as one of the goals for his ministry. 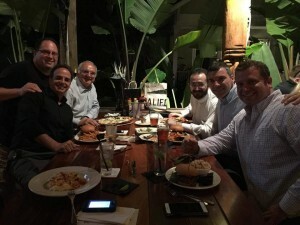 He has led this path with a personal example by being invested in it, contributing to it time, thoughts, and energy, as well as significant financial support. Today the Diakonia Retreat Center has summer camp facilities, a candle factory, a farm with domestic animals, a house built and donated by his eminence, and a beautiful chapel that is being built. The abovementioned is only part of what the Diakonia Retreat Center will have in the years to come, as more housing for seniors and other categories are going to be added, and more programs will be happening to benefit the rainbow needs of all ages and people of our society. 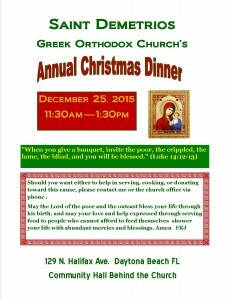 Your free will offering gift will be forwarded to the Diakonia Retreat Center in the name of the “Children of St. Demetrios, Daytona Beach” as window sponsors. One day in the years to come when they visit the property, worship in the chapel, and look back to remember today, they will rejoice, celebrate this accomplishment, and pray for the contributors like yourself who made it possible for such a valuable institution to be handed down to the following generations. The Fall General Assembly will be held on November 1st, 2015. Six positions on the Parish Council are open to reelections. The nominations take place during the General Assembly. Please consider com-ing onboard by submitting your name, and by talking with a parish council member for further inquiry. There is a re-quired PC candidate training seminar. The date has not been decided. It will be determined later. The nominations so far are as follows: Billy Gahagan, Gary Koliopulos, Irene Koutouzis, Johnny Louizes, Demetri Mahairas, Charlotte Nichols. Save the following dates November 12,13,14,15,2015 Again this year’s feature will be the FREE ROUND TRIP SHUTTLE SERVICE all four days between St. Demetrios and Our Lady of Lourdes parking lots. Last year we brought 3,000 visitors using the shuttle. Please let all your friends know!!! FESTIVAL FLYERS: Festival flyers will be available for pick up from church office beginning Monday, October 5,2015 Please see Phyllis in the church office. We need them to be distributed to all banks,businesses,schools,library’s,7-11’s,etc.. BAKING AND COOKING DATES: Please post the enclosed “Baking and Cooking Dates” flyer on your refrigerator!!!!!! Mark your calendars!!!!! 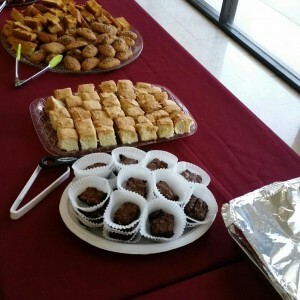 Volunteers needed to bake, roll, and cook in preparation for the Greek Festival. Your participation is invaluable to our success. Preparation begins at 9:30a.m. On each of these days in the Community Center. Please call the office to volunteer or if you have questions. October 19-20 Dolmades November 4 Pastitsio/cooking of ziti November 5 Pastitsio / making meat sauce November 6 Pastitsio / making Crema and assembly November 9 Packaging of Pastries November 11 Skewering the Souvlaki When we are blessed with many hands we get thru ahead of schedule so be sure to call the office before coming. Your time is valuable to us and we appreciate it. Congratulations to our sister church community of the Holy Cross and to Father Michael Byars on the celebration of 20 years of active ministry in this local area. His Grace Bishop Antoun came to preside over the celebrations. It was interesting to listen to some of the stories about the humble but faithful start of this parish. May God grant them strength and keep them strong and steady in carrying on the respon-sibilities of serving Christ. 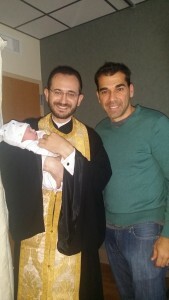 Baptism of Elias Michael son of Petros and Jennifer Kaniaris, and brother of little George was a beautiful event. Baby Elias Michael was enjoying himself the whole time during the service. 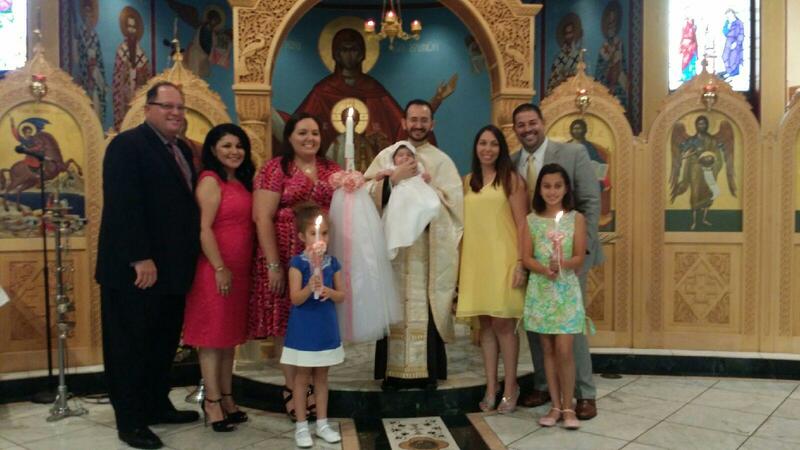 Glory to Jesus Christ for granting his great a nd divine grace to one more child of Saint Demetrios parish. 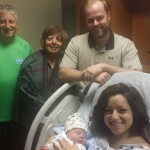 Blessing a new born baby boy, Triston Michael. 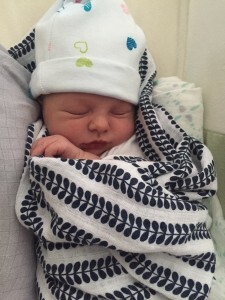 Congratulations to Sophia Gifford for a safe delivery, and for having received this divine gift. Baby was sleepy during the prayer service but very cute. 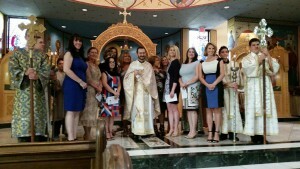 Last Sunday marked an important day in the life of the St. Barbara Philoptochos Ladies Society with the installation of a new board. This team consisted of many moms and working ladies who have been inspired by the examples of other Philoptochos ladies and became interested in carrying the mission of Philoptochos forward. My heart carries a lot of gratitude to God for his work within his parish of Saint Demetrios. Thanks are due to all the parishioners who took under their wings these ladies. 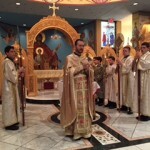 The mission of Philoptochos is vital for every Christian parish as it is vital and necessary for St. Demetrios. Please continue to pray for your parish, the ministry leaders, all the ministries, and for all the ladies of the Philoptochos society. 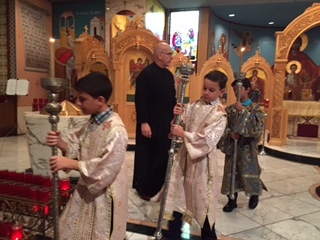 Celebrating the Sunday before the feast of the Holy Cross with a procession led by the Sunday school chil-dren was an added joyful event last week. The Sunday school team and parents are to be commended for at-tempting to increase the involvement of the children in the church life to higher level and degree. 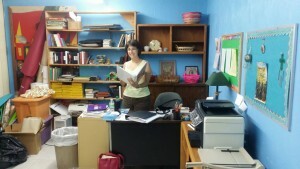 An added blessing was the recent renovations within the Sunday school building. The parish council has noted during its meeting on September 17th its appre-ciation and admiration for this wonderful effort. 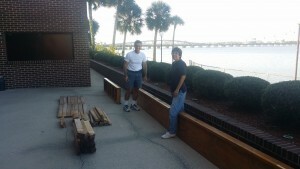 This project has become a source of inspiration to many other parishioners and ministry servants. It reveals the hidden and profound abilities within St. Demetri-os parishioners and ministry servants and leaders. Thanks are due to Voula and John Koulouris along with the help of Dean Karris and the entire Sunday school team the Sunday school building renovations are completed. They all spent many evenings working hard and long hours. Many times they stayed very late through the night to meet the deadlines. 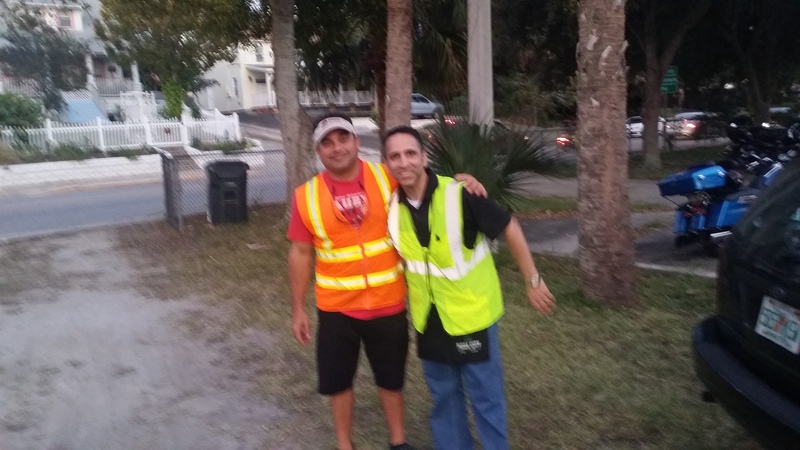 Thanks are due as well to our custo-dians Jim and Jose who showed a high level of cooperation, care, and ownership. This is one of the many positive things that are happening within St. Demetrios parish, and around us through the grace of God and his mercy. Please keep your prayers of thanksgiving and praises to the Lord fervent for all that God does in your life, and in the life of your church community. 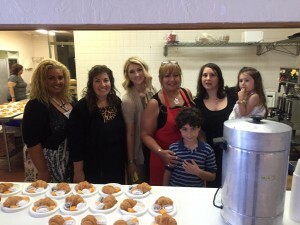 Many of the professional and working moms within Saint Demetrios parish have expressed genuine interest in getting involved with the Philoptochos ministry. After several organizational gatherings, discussions on the level of the parish council, and talks among many of the ladies of the parish, a new Philoptochos board has been elected. During the feast of the Panagia on August 14th last month, a good number of ladies cooperated in a very nice way and turned the feast of the Mother of God into a really happy event. 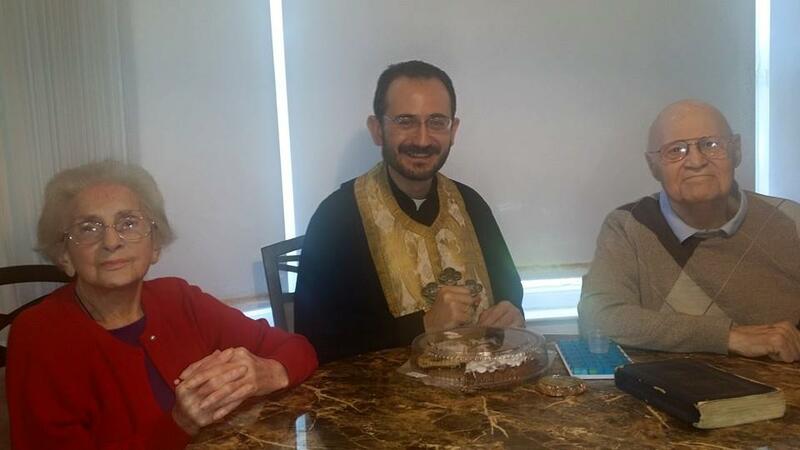 In addition to a joyful event that allowed many people to come together and celebrate the feast of the Mother of God, it has become apparent through the grace of Panagia; our Mother, that the ladies who are going to serve on the new board are eager to learn from all the previous Philoptochos members. They are excited to bring back the same spirit of enthusiasm and dedication that ex-isted within St. Demetrios through and because of the Philoptochos ministry. 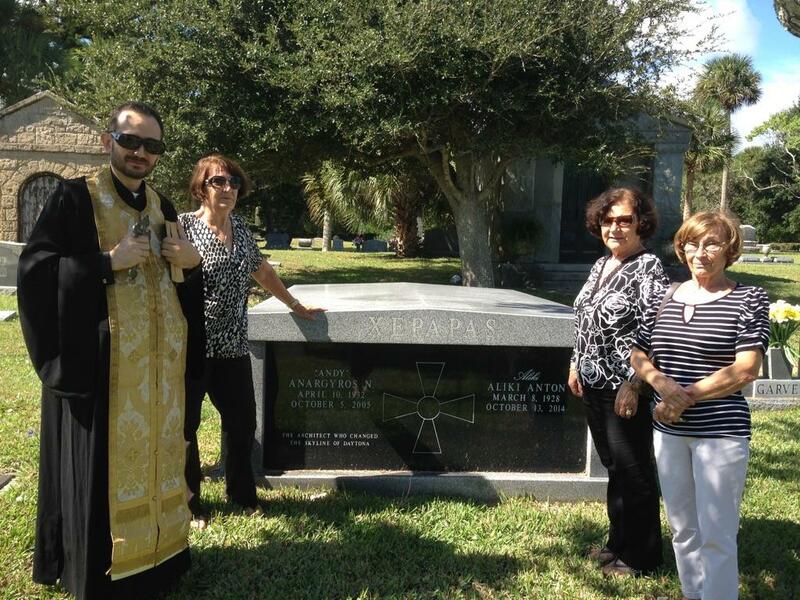 Thanks are due to all of the ladies of St. Demetrios parish; those that existed as part of the active mission of Philoptochos, and those who supported Philoptochos missions in various ways. You are to be commended for taking these new ladies under your wings, and for encouraging and supporting them to carry on the mission of Philopto-chos, and to serve the needs of the poor as you all have done for many decades. All the men of St. Demetrios parish are encouraged to join Philoptochos by becoming non-voting members through making a free will offering to help the Philoptochos mission. Philoptochos Society Oath of Office “I do solemnly affirm that I will uphold the dogma, teaching, traditions, holy canons, worship, and moral principles of the Greek Orthodox Church, as well as the Constitutional Charter, discipline and regulations of the Greek Orthodox Archdiocese of America, and that I will fulfill faithfully and sincerely the duties and obligations required of the Board of Directors of the Philoptochos Society. So help me God. 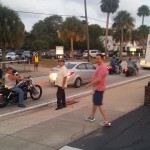 Parking during the festival has been and continues to be one of the difficult challenges. While it is desirable to make parking widely accessible, this beautiful wish is currently not feasible. Non-working parishioners who would like to enjoy the festival events are kindly asked to use the shuttle service. Its hours have been extended to make it more efficient, and easier. Thank you for your understanding and cooperation. 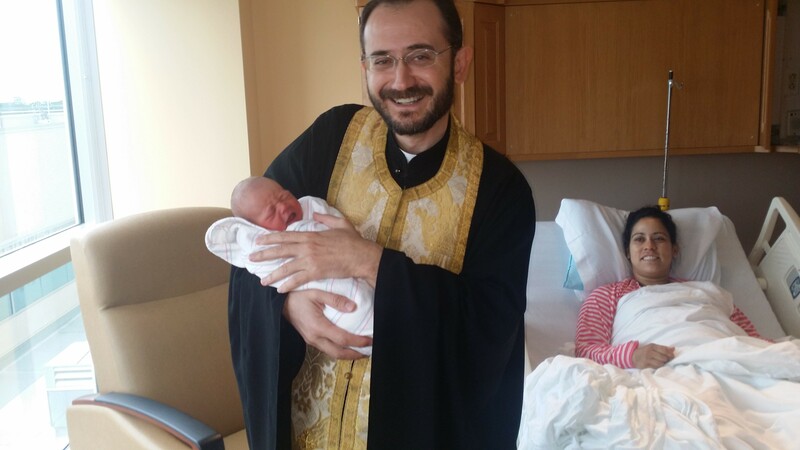 The Forty days blessing of a beautiful baby girl; Dimitra Maria, a divine gift born to Lukus and Despina (Kotsonis) Girard took place on August 30th. It was wonderful seeing her at the hospital for the first time only a few hours old, and it’s just as wonderful seeing her coming to church for the first time being forty days old. 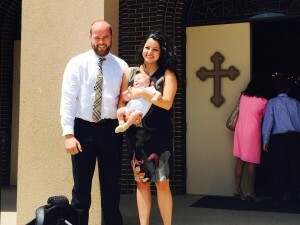 Looking forward to being part of her rebirth from above at her baptism. 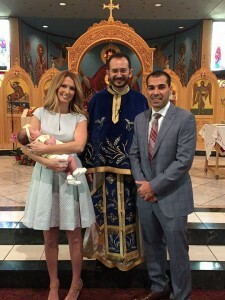 One more added blessing to the life of Saint Demetrios last week was the forty days baby blessing prayer of baby boy Adam son of Nick and Lisa Koutsoulis. 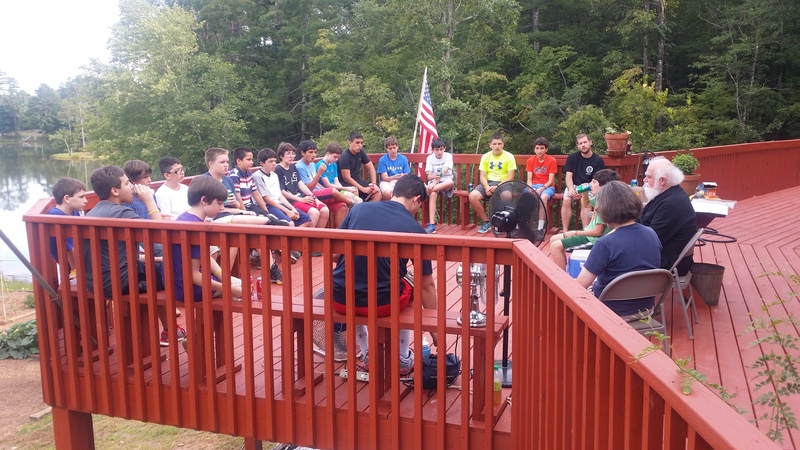 With the start of the school year, many of our youth programs at Saint Demetrios enter into an intensive motion of activities. The Sunday School and the Greek Dance started last Sunday. Children, parents, and ministry servants are excited about and looking f orward to a productive year. Preparations for the dinner dance are well on their way. The preparation for the weekend celebrations of the feast day of Saint Demetrios name’s day are also moving forward with a satisfactory speed and efficiency. 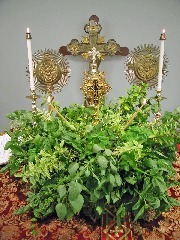 Volunteer’s help is needed to decorate the tray for the procession of the Holy Cross with BASIL branches and the three candles. 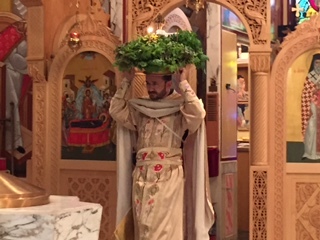 The basil is cut ready to make it easy to be given by the priest to the faithful at the end of the procession. Angie Forest for many years had taken careful care of these invisible tasks where the tray would disappear from the church for few days, and reappear on the day of the feast beautifully decorated, and ready for the procession. Please contact the church office or call Father Joseph for further information, and thank you for your help. 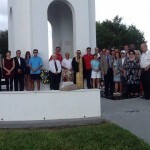 The Annual Memorial Service sponsored by AHEPA in memory of the Pioneer Greeks those who were instrumental in starting the New Smyrna colony in 1768 was held on Saturday August 29th, 2015. 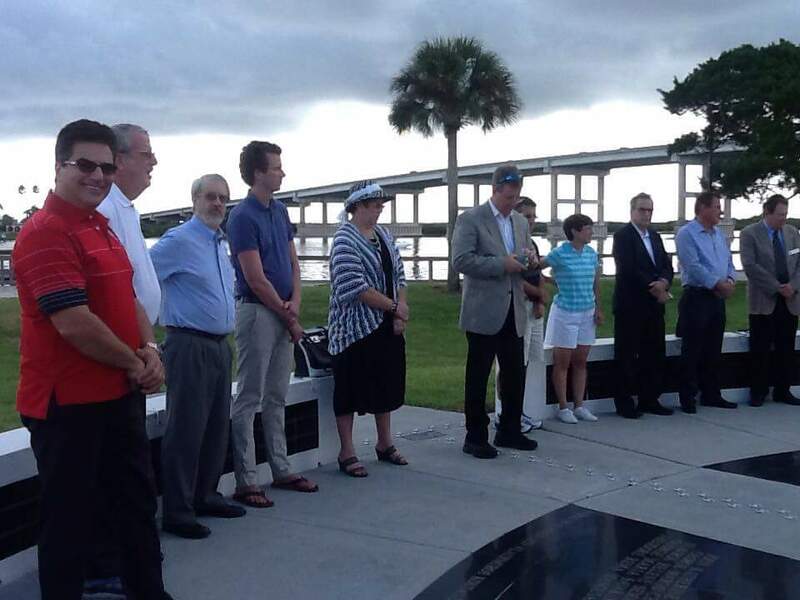 Along with the voyagers of the three ships of the indentured servants who were sponsored Dr. Andrew Turnbull, all other unknown servants and slaves who came to these shores were remembered and prayed for as well. 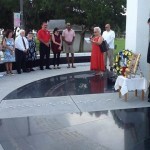 There are many reasons as why this memorial service is significant, but probably holding it as a token of gratitude is one of the added spiritual values. As deceased they cannot ask for it or demand, and there is no expectation on our part for tangible return or reward. Thanking unknown people who made the blessings that we enjoy today possible to reach us and praying for the rest of their souls is very uplifting spiritually. Thank you goes to all parents for making the backpack blessing last Sunday a happy and laughter filed event. Without the dedication of parents and their hard work, it would have not been possible for the entire community to cherish the presence of the children and the joy they bring with them. Thank you to the entire Sunday school team of teachers and volunteers for investing their time and talents to care for these children that are precious God-given gifts. Thank you to Voula Koulouris for taking up the challenge of heading the Sunday school ministry, and thank you to the entire team of teachers and volunteers, those that have come back, and the new additions. May God bless the volunteers of the Sunday school family for investing their time and talents to care for the Saint Demetrios children. They are precious God-given invaluable gifts and taking care of their Christian education is an awesome undertaking and one that is highly rewarded by God, Jesus Christ the prototype and teacher of all. Sunday September 6th will mark the first day of Sunday school classes. The blessing service of the start of the school year will take place at the church nave following the reading of the holy gospel around 10:15. Please be on time. After the children have received the Holy Communion, they will go down stairs to start their classes along with their teachers. Parents are kindly asked to sit in the Sunday school first three pews to participate in the parents orientation offered by the Sunday school director Voula Koulouris following the conclusion of the Divine Service. Please do not miss out on this important presentation. If cooking shows interest you, you might like to know that Costa Magoulas will be hosting a live cooking show on WDSC 15 starting on September 24th every Thursday evening from 7:30-8:00PM. Area restaurants will be featured; the first restaurant will be the Athens in Edgewater. Congratulations to Andria Nicole Pavgouzas for giving birth to a beautiful baby girl, and thanks be to God for keeping mother and daughter safe and healthy. The feast day of Saint Phanourios on August 27th, 2015 will mark the kick off of the 2nd phase of the capital campaign. On this day a gathering of names will start until the end of 2015. Any and all parishioners who have a beloved departed family member(s) or a dear friend(s) may choose to reserve one line for his/her/their name(s) on this specially made bronze plaque. The plaque space is limited to EIGHTY lines only. Each line can accommodate two first names and one last name without titles. One size font will be used to keep uniformity throughout the plaque. The suggested donation has been set for one thousand dollars per line. 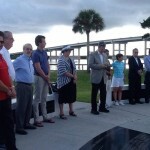 This plaque will be placed inside the holy table wooden box and once or twice a year will be put out on display, with a memorial service said for the rest of the souls of the names that are inscribed on it. 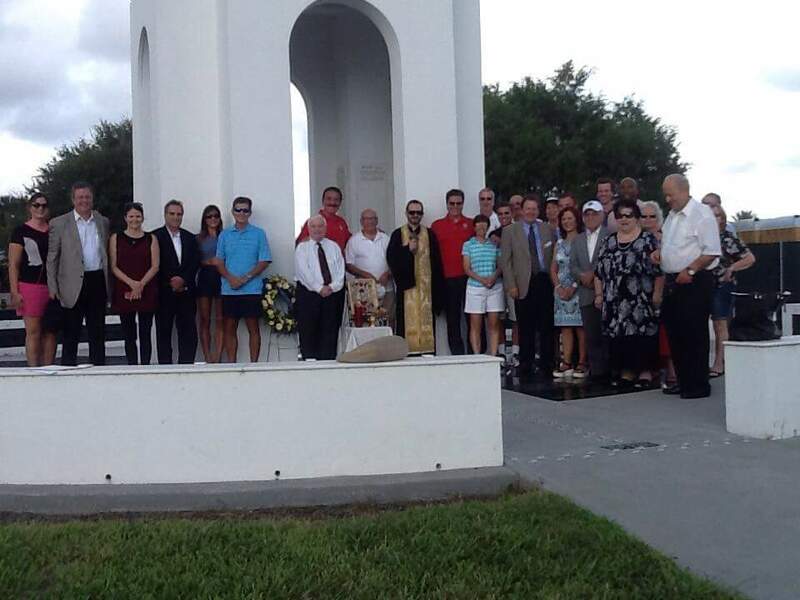 Checks should be made out to Saint Demetrios church and should be earmarked “Capital Campaign 2015.” For further questions in regard to the details of names, please call the church office. 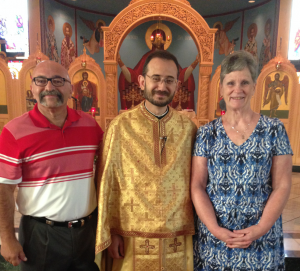 Saint Demetrios Parish is happy to welcome Stephanie Chambers into the Orthodox Church through the holy sacrament of Chrismation on August 17th, 2015. May the divine grace of our Triune God in the name and power of Jesus Christ strengthen her on her spiritual path of perfection through faith in Jesus Christ. Another happy occasion in the life of Saint Demetrios parish was the forty days blessing of Alexandra Veloditsa daughter of Kyriaki and Kenna Dyrmonis. 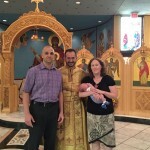 Glory be to God Jesus Christ for granting Saint Demetrios community such a beautiful gift. 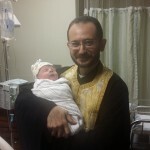 May the Lord God strengthen and illumine father and mother to rear this child on the path of piety and Christian faithfulness. 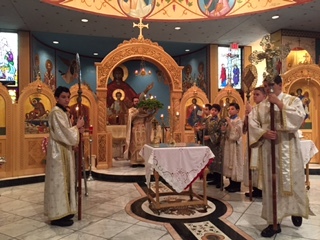 The feast of the Mother of God in the honor of the ever Virgin Mary was a wonderful occasion in the life of Saint Demetrios Parish. The blessed efforts of many people came together in a nice and harmonious way resulting in a very joyful celebration. The ladies of Philoptochos society of Saint Barbara worked hard to organize the event with the help of the ladies of Saint Demetrios parish. May the great God of our hope Jesus Christ bless all those who honored God’s Mother on the occasion of her Dormition, and protect all the ladies that helped the efforts of the Philoptochos ladies to put together a joyful event. Your generosity of time, effort, and upbeat attitude made a huge difference. Also a special thank you goes to George Zissimos of Porto Fino Restaurant who is always enthusiastic to support the various events of Saint Demetrios community and the Saint Barbara society. Greek Dance Practice starts on September 6th. Registration is open to children from Kindergarten to college. There will be a parent meeting after church on Sunday September 9th before the first practice begins. Please contact Ashleigh with any questions at GreekDanceDB@gmail.com. Best wishes for Perry and Elaine Costidakis on their move back to the north to be with family. We will miss them, but after some unexpected serious challenges with health it is best to be nearby family. I had the opportunity to wish them a safe travel. Please keep them in your prayers. 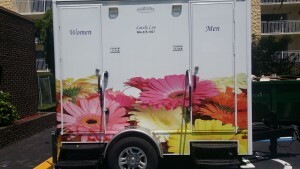 The restroom renovations are going well; things are moving along in a promising way. Due to the tireless efforts of Parish Council and Philoptochos members an outside luxurious temporary restroom unit has been rented. 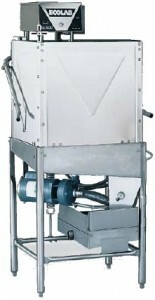 This unit has been placed by the main hall doors as pictured here. Please feel free to use it. This luxurious unit is air-conditioned and well maintained. Some parishioners might have a bit of difficulty to open the door while negotiating the steps to get in. But, the process of exiting is a lot easier. Please watch your steps as you climb the stairs, and do not hesitate to ask for help if it is bit hard for you to climb the steps while having to hold the door open. Arthur and Sally Miller are always very gracious and good hosts. They truly appreciate being remembered in prayers and that they are kept in the thoughts of Saint Demetrios parishioners. 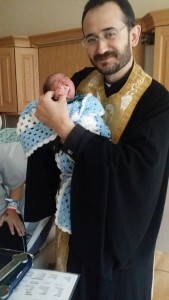 Being able to pray and receive the holy sacrament is a beloved and awaited visit for them. 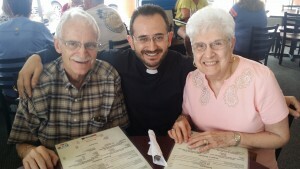 Visiting with them is always a treat and updating them about the life of the parish is an interesting conversation. Please keep them in your prayers and your thoughts. 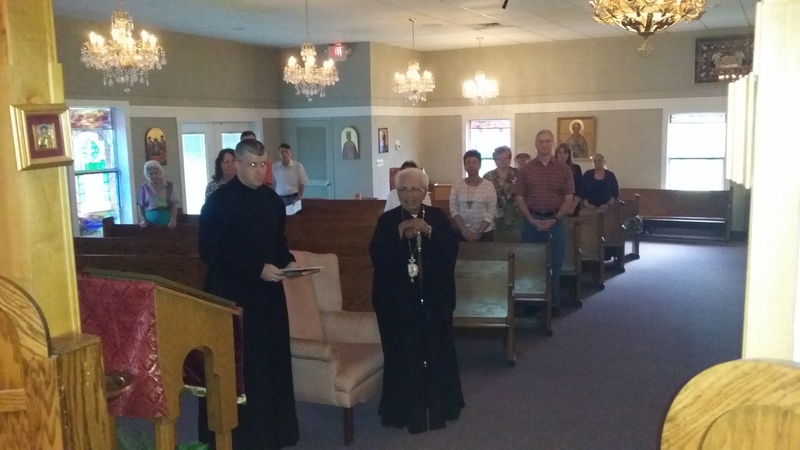 Friday July 24th was another blessed day in the life of Saint Demetrios parish. Luke and Despina (Kotsonis) Girard received a divine gift with the birth of a beautiful baby girl, Dimitra Maria. Mother was tired but very happy, baby was gorgeous but hungry. Everyone else was joyful and ecstatic. Tentatively, the forty days blessing has been scheduled at the end of August. Glory be to God Jesus Christ for such a gracious gift and for granting mother and baby safe delivery. Our old kitchen dishwasher equi pment will be replaced by a newer machine that is more efficient. As it is customary in the restaurant world, these machines are usually rented, and its cost is going to be one hundred dollars per month which is being donated through the generosity of Elias Drymonis and his family. The responsibility of Saint Demetrios parish will be limited to taking care of the detergent cost only. Thanks to God for taking care of the needs of his home at Saint Demetrios by inspiring his children into taking these and many similar initiatives to the glory of his name. Thank you to Maria Andreoulas for five years of dedicated service as Sunday School Director. 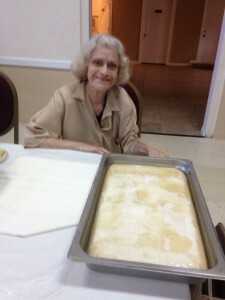 Her help and leadership brought the Sunday school up to a higher level of efficiency. The Parish Council and the entire parish of St. Demetrios wish to express their gratitude and appreciation for her service and dedication. The feast day of the great martyr Saint Euphemia brought with it another added joyful event besides to the commemoration of such a great saint. 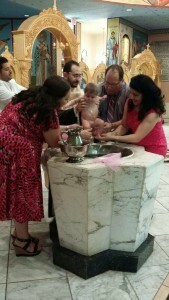 It was the baptism of Aliki Despina the daughter of John and Maria (Augustine) Psilopoulos. Godparents are Vasili, Debbie Gahagan, and Ashleigh Augustine. The physical birth of a baby is definitely an awesome and most amazing miracle, but the birth through baptism is even a greater miracle. Baptism is a birth that happens through God’s creating power and makes the person the child of God. 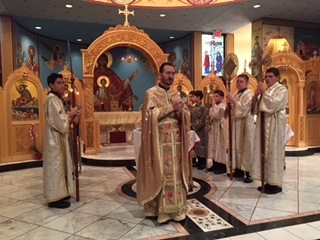 “But to all who received him, who believed in his name, he gave power to become children of God, who were born, not of blood or of the will of the flesh or of the will of man, but of God.” (John 1:12-13) Thanks and glory to Jesus Christ for granting Saint Demetrios parish family such a wonderful gift with the addition of Aliki Despina, and for being gracious to grant the spiritual birth the water and the Holy Spirit. Cleo Marcinko was hospitalized this week for a necessary procedure. Please keep her in your prayers! 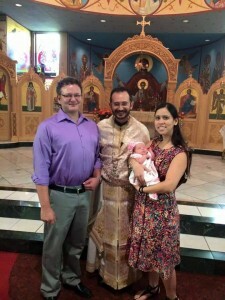 Congratulations to Andrew and Eleni for the forty days thanksgiving and blessing prayer service to God this past Sunday for preserving her during the birth process and for the beautiful divine gift of their son Luca Temple. 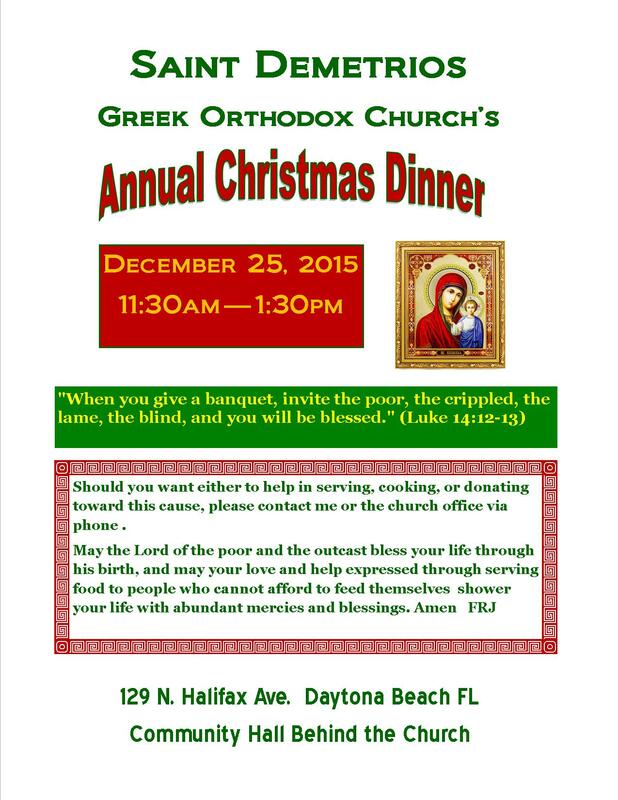 This is another added joyful event in the life of Saint Demetrios parish. May God preserve mother, baby, and dad, and give them the strength and the energy to live up to this new awesome responsibility. Thanks are due to our great God for every gracious gift and for all of his inspiration within people’s hearts to will and to do acts of goodness in his name for the benefit of others. Last Sunday several Philoptochos ladies came to-gether to organize and hold a coffee hour to bring awareness of and line up support to the national drive to aid Greece. There are many philanthropic organizations that offer help to worthy causes in Greece who are currently facing hardship in continuing their invaluable mission. Your donation small or large com-bined with donations from other caring people from across the country can make a difference in the lives of many people. 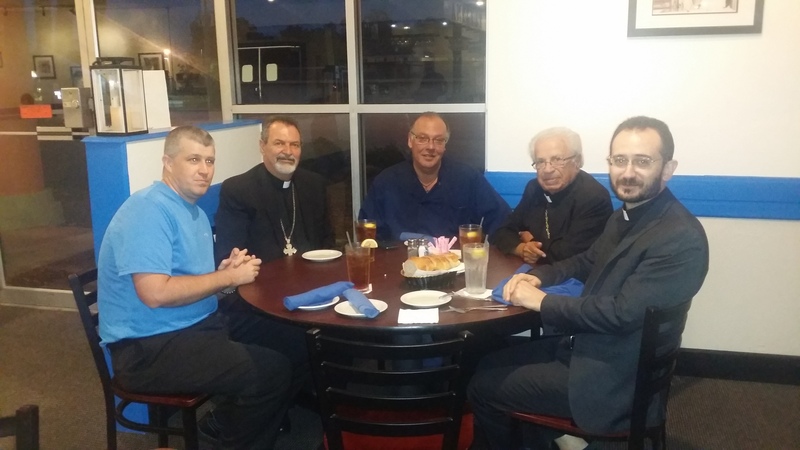 It is true that Greek Orthodox people in America are helping friends and families directly since many people maintain close ties with their relatives. But as noble as this personal help is, giving help through the chur ch organized errand is still needed, and will be greatly valued in the eyes of God. Requests for aid are frequently sent from reputable and worthy sources in Greece to the Archdiocese, hierarchy, and communities. Many times the situations are desperate, and it is heartbreaking for our hierarchy and/or our national Philoptochos to ignore these cries for help or choose to do nothing about them, and therefore our support is greatly needed. How can the Greek Orthodox Archbishop of America, who is the leading representative for the Greek Orthodoxy in this country, or any of our metropolitans, choose with good con-science when they are asked to show no support to their brothers in the faith or ignore their needs? Your generosity means a lot in the eyes of God as it goes to aid people that you do not know, but still want to help because you care for them in the name of Jesus Christ. Your support enables our hierarchy and Philoptochos organization to demonstrate their level of care and sensitivity for a country that is rich with spirituality, deep in its Christian values, and now happens to face hard times. May God reward you according to his unfathomable wisdom for your generosity. Thank you to all the volunteers and the ladies for organizing a rich coffee hour, and for their warm and welcoming spirit. May God continue to preserve Saint Demetrios parish as a beacon of light and grace to our city and to people elsewhere as well. Thank you for your donations to offset part of the incense cost. 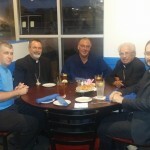 I picked up our order when I was at the clergy laity conference. Our supplier was gracious and generous and threw in some extra small boxes of incense as a gift to his patron Saint that are worth about one hundred dollars. 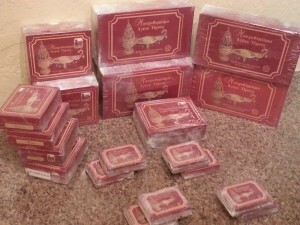 This shipment of incense is the product of “Vatopaidi” monastery from Mount Athos. It is one of the best quali-ties I have found so far. With the rising of allergy symptoms within the population, finding good incense that does not trigger people’s allergy is becoming a hard task. Thanks and glory to Jesus Christ our God and true savior of our souls for granting a wonderful celebration of father’s day this past Sunday. The uplifting and cordial atmosphere was nothing short of many miracles from our great God given to us freely and generously out of his love and mercy. During the entire time preceding the event; starting with the drafting of ideas to the actual preparations the enthusiasm was contagious and inspiring. So many parishioners came together out of love for God and Saint Demetrios parish to outdo themselves in putting together an unforgettable celebration. Their success was dazzling! The team put together an event that was filled with laughter, tears, music, including an amazing simplicity of children. The helpers and the doers who made this event such a huge success are more than what can be numerated, and everyone’s efforts were more than what can be described adequately. It would not be an exaggeration to state that those who came to be a part of this event left cheerful and energized. It is inspiring to see a group of parishioners even before the event started so enthusiastic in thinking about next year’s event. May God bless all of your efforts, and thank you for being real and genuine. Your words, comments, emotions and affections were a great source of joy and happiness. 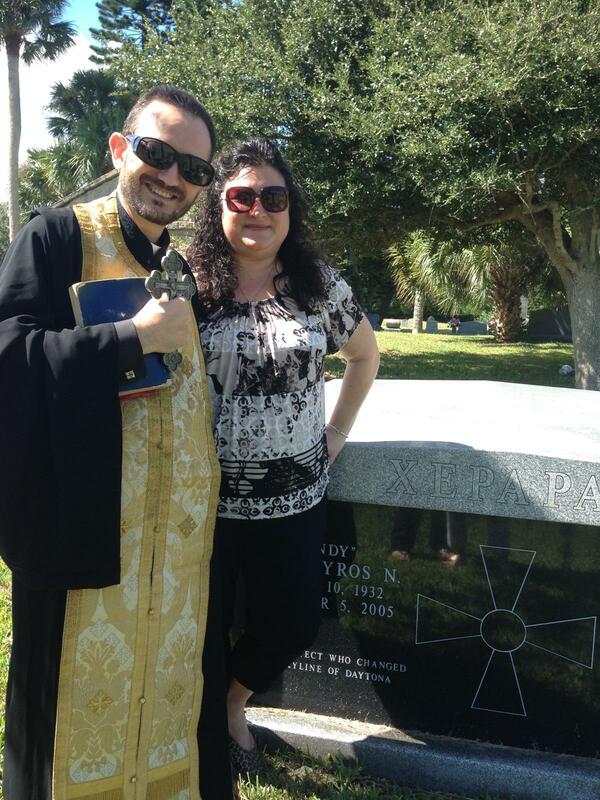 One of Saint Demetrios parishioners; Ernest G. Georgi, 80, of Daytona Beach Shores, FL passed away last Monday, June 15, 2015 while he was vising his family in NJ to celebrate the graduation and achievement of his grandchildren. Most of you, especially those who had volunteered at the church office, would know his wife Gabrielle Georgi. Ernest and Gabrielle have two children who live in NJ; Anthony Georgi and Monica Kenah & her husband Steven James. The funeral service was set to take place at 11:00 am this past Friday, June 19th at St. George Greek Orthodox Church, Clifton, NJ. Ernest’s family invites all the family members and friends from Saint Demetrios parish to celebrate with them the Divine Liturgy in his memory here at St. Demetrios on Friday July 3rd. 2015 starting 8:45 am. Ernest was a fun and humorous person. It was a joy to be around him. He was a highly intelligent person and a genius achiever. His stories from traveling and working around the world were always exciting and entertaining. He will be missed, may God rest his soul and have mercy upon him. Memory Eternal. Please, all families who have registered their children in the last session of St. Stephen summer camp in S.C. are kindly asked to contact the church office to update Fr. J. on their travel plans. In the meantime, there is a charted bus that will be originated from south of Florida and willing families may use this option to send their children to St. Stephen. For further information; please contact Fr. J. As for families who have not yet registered their children there might still be few open spots. Children who finished elementary school and up are eligible to register, please contact Fr. J. or the Metropolis youth office directly at Atlanta Metropolis Youth <youth@atlmetropolis.org>. This is an awesome experience, please do not miss out this once a year awesome opportunity. We are sharing with you a report from the Center For American Progress about democratic freedoms and the plight of Christian minority communities in the Middle East. Brian Katulis, Senior Fellow at the Center For American Progress and a member of the Saint Andrew’s Freedom Forum Advisory Council led the team of analyst who authored the report. Christian communities are caught up in the broader regional struggles for power and influence in the Middle East. The declining Christian presence is the product of historical factors and long-term trends. The status of Christians in the Middle East varies significantly according to the political, social, and economic conditions in specific countries. Basic equality in citizenship is a common challenge for Christians in the Middle East. Extremist groups exploit institutional weaknesses in the justice, rule of law, and police systems to threaten Christians. Difficult economic conditions and the lack of jobs create incentives for Christians to leave. Radical ideologies foment societal intolerance against Christian communities and other religious minorities. Disunity and insufficient coordination among Christians in the region prevent them from achieving their potential. The role of monarchies and Gulf countries is pivotal for Christian communities, but their efforts and influence remain very mixed. Broader geopolitical tensions between Russia and the United States have a small but important impact on Christian communities of the region. Expand the tools and resources available to U.S. policymakers to elevate freedom of religion and conscience as a priority in U.S. engagement in the region. Build stronger and more diverse networks and partnerships with the private sector and nongovernmental institutions to address the current challenges facing Christians. Redouble efforts to advance international diplomatic approaches to conflict resolution in the region. Prioritize assistance to refugees and displaced persons with specific responses for Christian refugees. Weigh carefully the benefits and costs of special visa programs for Christians that may be seen as encouraging emigration, aiding in the exodus, or providing special treatment. Make use of U.S. strategic communications to promote religious freedom, pluralism, and inclusivity as a priority. Expand economic development and reform efforts in the region. Invest in education as a key tool for advancing religious freedom and pluralism. Use U.S. military force and security assistance cautiously and beware of potential pitfalls. Work with international organizations and leading churches to preserve Christian heritage in the Middle East and the Arab world. The Middle East remains in the midst of an extended and bloody battle for power and influence that has allowed extremist groups to rise in prominence. Sectarian and ethnic conflicts are contributing to state collapse in areas such as Syria and Iraq and a reassertion of authoritarianism in other parts of the region. The status of Christians is an important sign of broader regional trends in pluralism and tolerance, and adopting more effective engagement strategies to address the plight of Christians could help produce greater stability in the long run. However, this strategy will only be successful if the issue is approached with great sensitivity and care to the broader landscape of change in the region. 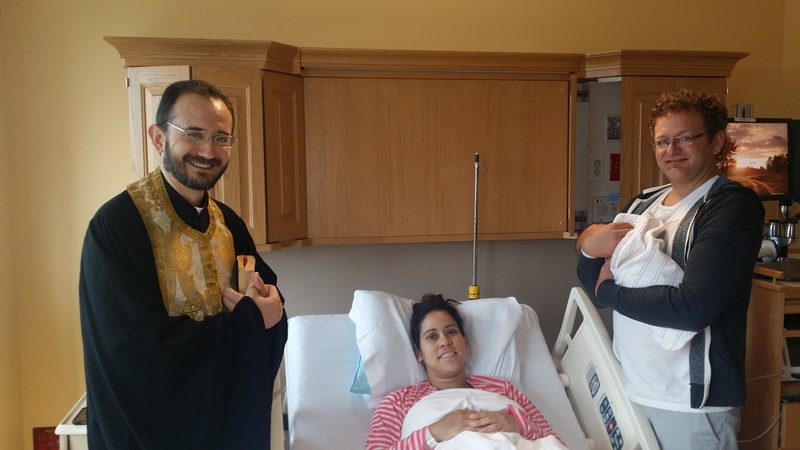 Even a long and overloaded day can still end with a wonderful and uplifting surprise from a late visit to the hospital for a thanksgiving prayer for a newly born baby. 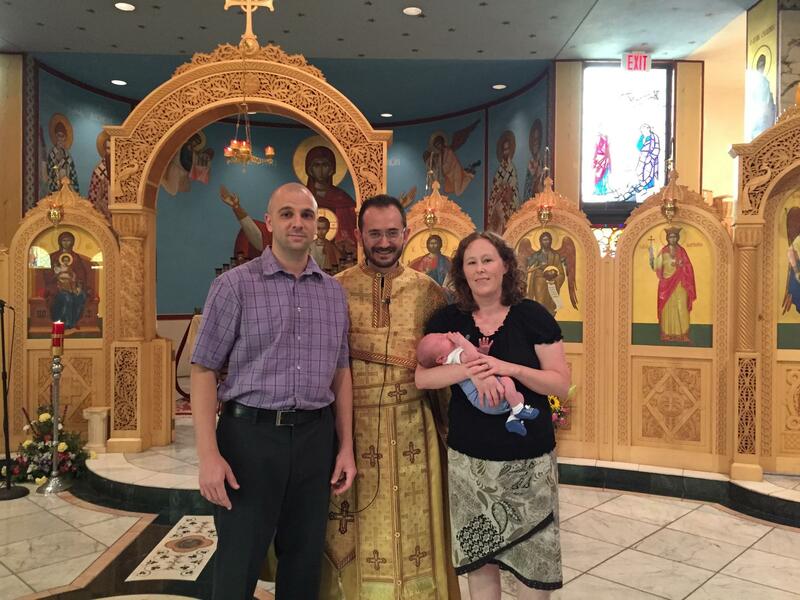 Saint Demetrios welcomes its newest addition. Please thank the Lord God for his gift of life through the birth of “Luca James Temple”. 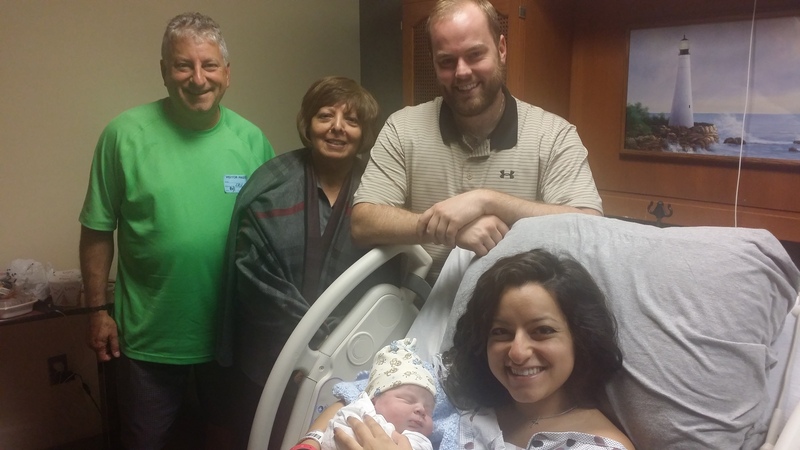 Son of Andrew Temple and Eleni Deligianis. He came into the world at 8:21 pm on Monday June 1st. The visit of the Mother of God through her miraculous icon “Ypsini” was another added blessing to the Saint Demetrios life. This beautiful spiritual event brought with it feelings of joy and a sense of jubilation to our midst that will last for a long time and will inspire many desiring hearts and minds. The nuns along with Father Christodoulos left with the best of impressions and they carried with them fondly the fruits of your generous spirit, great hospitality, and the enthusiasm in receiving them while showing great reverence toward the Mother of God and her icon. 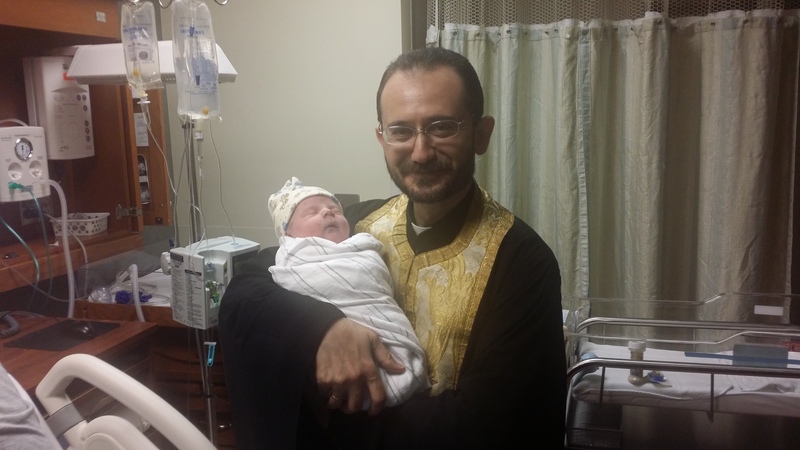 Thanks to God for this extra sweet gift that he sent us, and for all of you for making the reception of the God’s Mother such a special event through your help and support.